Google Apps are really great Google branded apps that are pre-installed on most android phones and tablets just like the Google Playstore, Gmail, Google Maps, Google backup, Youtube, Google search and other related apps from Google Inc. It's really difficult to find Google Apps (Gapps) on android having cyanogen roms due to some some licensing restrictions. 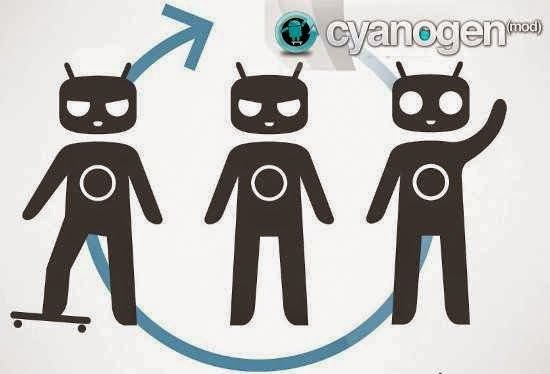 Of course, CM12 is a newer version of Cyanogenmod ROM which is highly recommended for android 5.0 Lollipop devices. I published a brief tips previously, on how you can install google apps on Cyanogenmod 11 CM11 ROM, you can take a stroll to that guide, it would help for lower android versions. Maybe, you eventually wiped most of the google branded apps from your android device, you may find it difficult to install them (EG- Google Playstore) but with the help of this tutorial, you won't have any problem retrieving that app. Today's stroll, I would brief you guys on how to download and install Google Apps on Cyanogenmod 12 CM12 ROM. Before proceeding to the below guide, make sure that your android device has an unlocked bootloader, rooted and also have the latest custom recovery (TWRP/CWM) installed on it. Step 2: After that, download Google Apps from here and move the downloaded file to the internal storage of your android device. Step 5: After that, go to the recover main menu, then choose install ZIP from SD Card, then select the Google Apps Zip file and install immediately. Once your android device is successfully rebooted, then you would find Google apps (Gapps) on your custom Rom of your android device.